When I was young I loved taking things apart. It was not out of curiosity, to see how they worked. It was not in order to see if I could fix something that was broken. I did not like putting things back together, I just liked taking things apart. I think I had a "need to destroy" streak in there, and taking things apart filled that need. As I got older I discovered something about myself. I was not good at fixing things. The talent wasn't there. My brother was good at fixing things. If fact, I still claim that he is the most patient person I know. 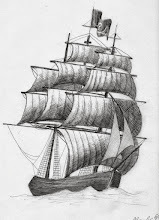 Perhaps patience is my problem.... My older sister was good at it, she had that artists eye that could see pieces of a whole and just understand clearly how it all should go together. But me? I cannot do puzzles. I get frustrated at crafts. I have no instinct for organization and I can barely read a map. (It is related, trust me.) Now, there is a chance that because I realized this early I stopped truly trying. But it drove me crazy that something as simple as knowing my left from my right seemed to take all of my focus and it came without effort to seemingly everyone else. But the stopping trying? That was my own fault, and led to the demise of any residual "putting things together" talent that may have been still lurking. Into my teenage years I all but gave up fixing things. I had a brother just two years younger that took on that job for me. Sad I know. 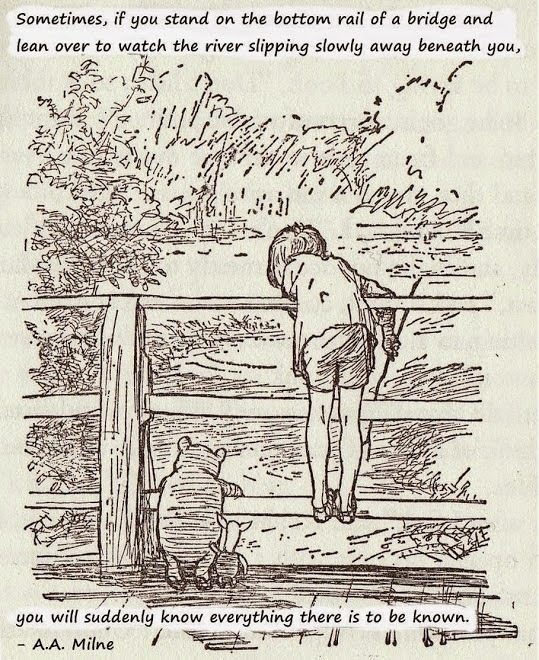 But it was so easy for him, and he enjoyed doing it. And I...did not. I remember thinking that if I someday got married, it needed to be to someone who could follow behind me fixing all the things that seemed to fall apart around me. I met my husband in college. One of my earliest memories of him is going to see a movie in his dorm room with him and his (then) girlfriend. I remember asking to use his restroom and being told to just "pull that cord sticking out to flush it." The toilet had broken soon after he had moved in, and instead of calling to having it fixed (as any normal college student would have done) he had jury-rigged it MacGyver-style with things he had had lying around. At the time I don't remember thinking twice about it. And yet, I now laugh when I think back on that being one of the first things I remember about him. He could fix things! Anyhow - all this to say: I decided the other day that I was going to put aside my insecurities and break out the power tools! Er....I mean, I am not allowed to use our drill. So a screwdriver would have to suffice. But I was going to do it all by myself! I had gotten a shelf to put by my desk several days before. 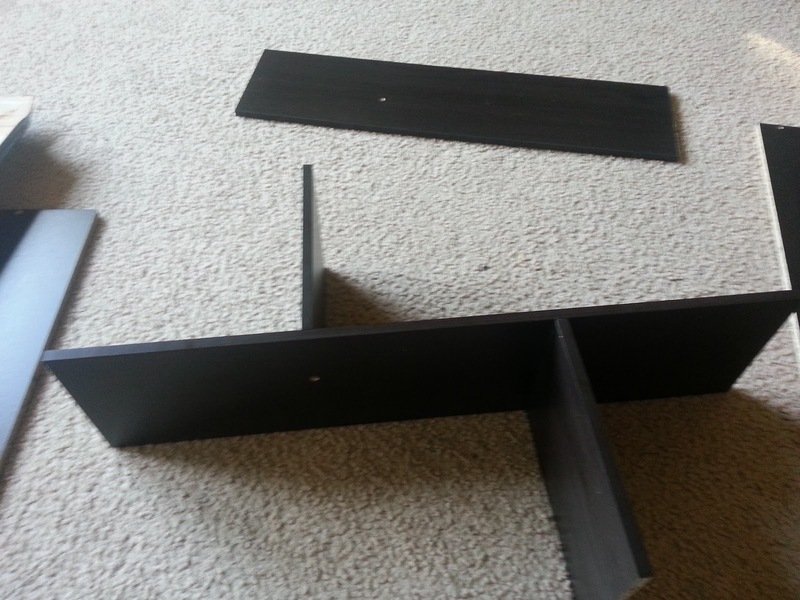 And since the weekend was over, and therefore any hope of my highly skilled husband whipping this thing together was gone for at least another 5-6 days and I wanted my shelf now so that useful items could be out of the reach of the Monkey, yet still accessible to me. 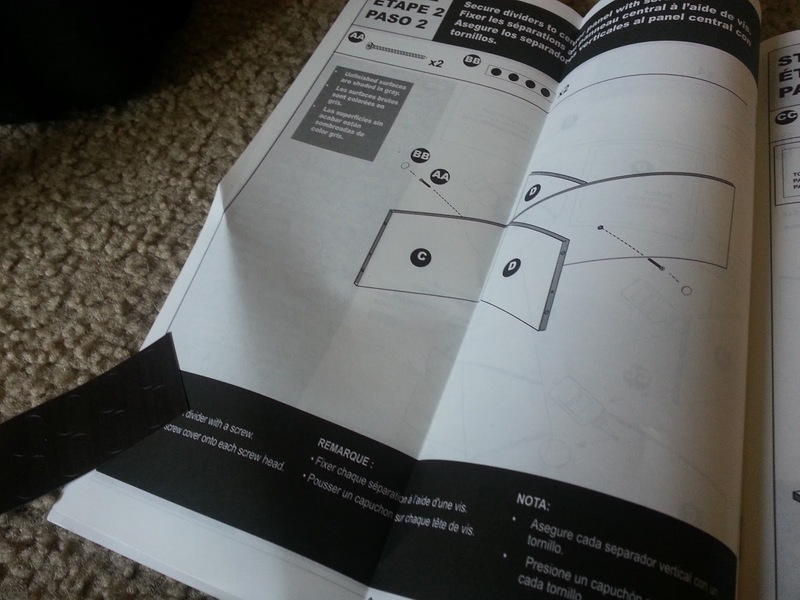 As any good craftsman would, my first order of business was to read the instructions. The first thing I noticed was that it listed "power drill" in the list of tools you would need. figuring I would deal with that when I got there (he never has to know I used it...right?) 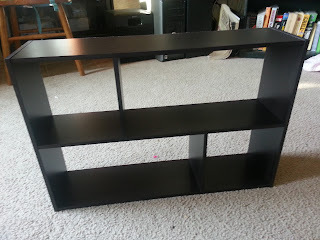 I also noticed it did NOT list glue in the items I would need...however the first instruction said to "add drops of glue to holes before inserting wooden dowels." 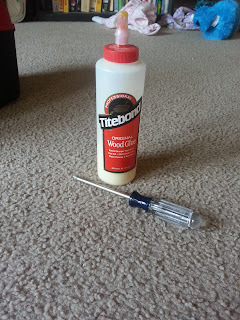 Determined to be the victor of this project I went in search of wood glue. I knew we had some. The question was where. First I looked all through the office to no avail...then off into the depths of the garage I plunged. Now, just to be clear. The garage is very clean and organized. It is just not organized to any system that makes logical sense to my brain. So really, the wood glue could be anywhere. I imagined myself an explorer in the Amazon - flat, hacking sword in hand (can't think of the name of the sword at the moment). Hacking my way through the think vegetation until Ah Ha! Wood glue! I also stole an extra screwdriver I found. You can never have to many of those. And I think this one was actually mine. Finally I got it partway together. Ta Da! Ok, so I built it upside down. But who is really keeping track of all the upside/downside ups anyway!?! 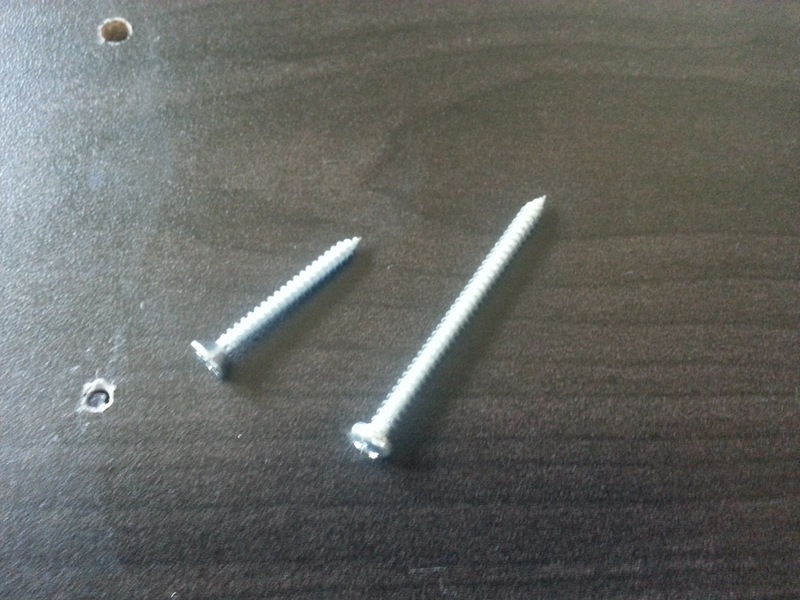 However, as I was attempting to wrench in the last of the middle screws - I noticed it was taking a little more effort then it should, and I heard a terrible cracking sound...oh no! It was breaking through the side of the wood, but I had used the right screws....right? 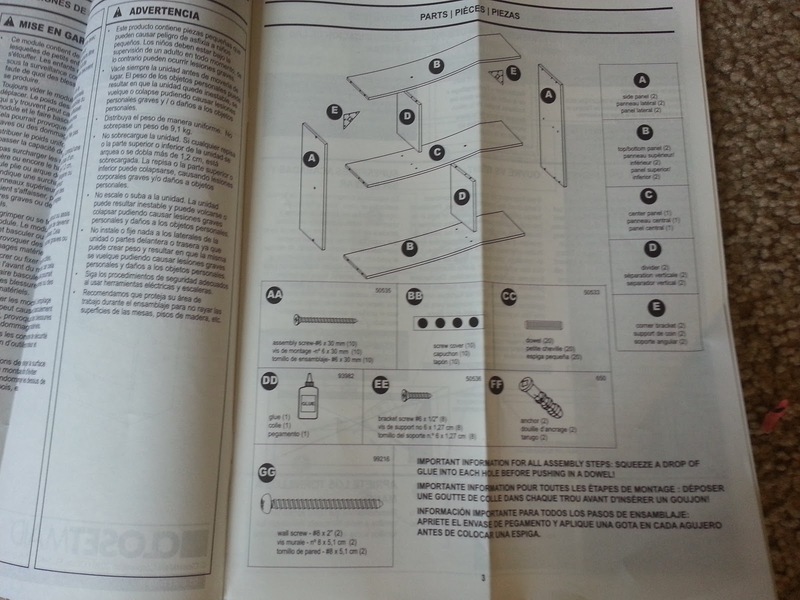 I had read all the instructions! I used the ones it said...or I had used the ones that looked like the ones in the picture... Ok, maybe I had not read ALL the instructions. Ok - so maybe I had guessed. I saw X2 next to the screws and thought that there were 2 of them...so I chose the ones that there were only 2 of and had not paid attention to the whole AA vs. GG thing. Oh come on, anyone could have made that mistake! See? 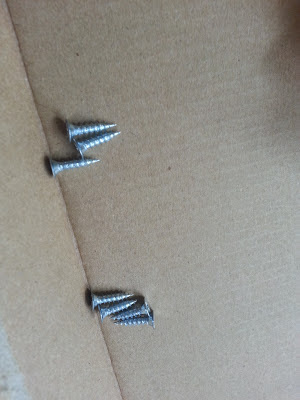 The screws are almost identical! Ok, so maybe not. As I was fetching my screwdriver yet again, to take it apart yet AGAIN I discovered something. 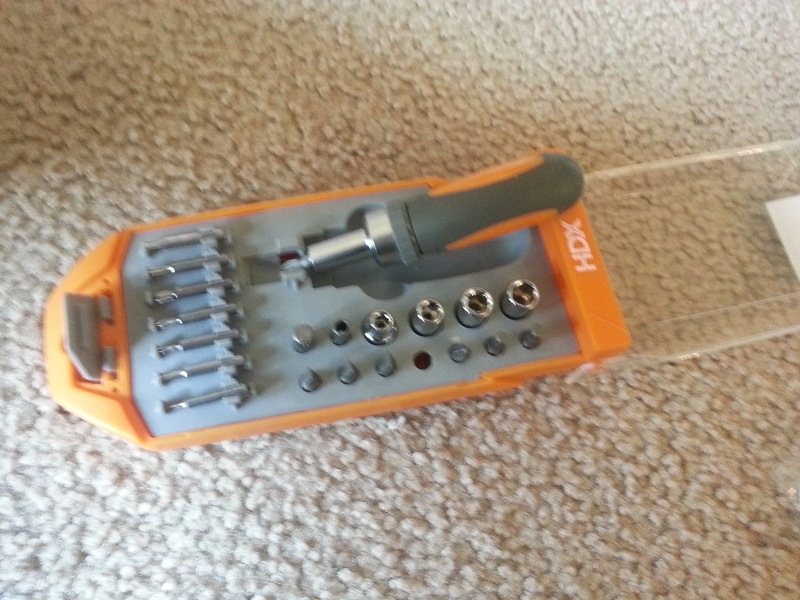 I had a ratcheting screwdriver set. Who knew! My husband was right, you learn all sorts of things when you fix things! And new tools DO appear out of no where! At least that is what I am assuming happens, since whenever my husband fixes things he magically acquires new tools. He can't truly be buying all of them, right? That would be ridiculously expensive! So I set the wrong right again. And added a little extra glue to the newly formed cracks (Since I needed to feel justified in my glue hunting) and soon had it all together! Well, almost. You see, after all that work, the set was missing something! Notice any inconsistencies? For the less observant type, that would be 3 screws on the top, and four on the bottom. Which meant one was left out. And no, I did not lose it or overlook it like I did the glue. It was missing out of the little plastic bag that all the screws came in. I considered for a moment scrapping the whole shelf (preferable dropping it from a very high ledge). Or perhaps carrying on in a very soggy fashion, weeping my loss of a complete project - drowning my sorrows in chocolate and fine cigars. Or I could angrily call the company that made the shelf and demand a complete refund and the immediate sacking of any and all employees that may or may not have been personally responsible for the carelessness of leaving a piece out... But instead I decided to make do, and attach only 3 screws to one side. DONE! Is it not a thing of beauty? 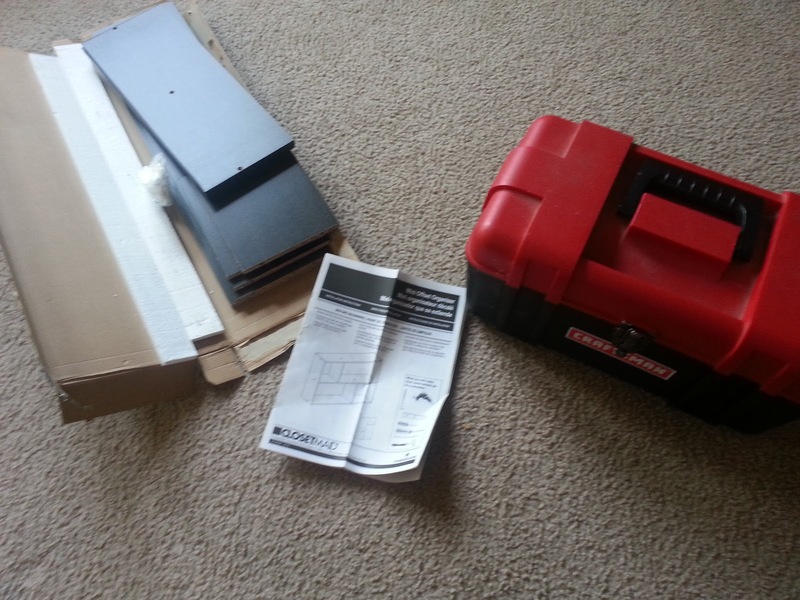 Now as I scoured the instructions for the final wall-mounting procedure the inevitable doom met my eye: "Use a power drill to attach unit to wall." I wont tell you exactly how I managed. 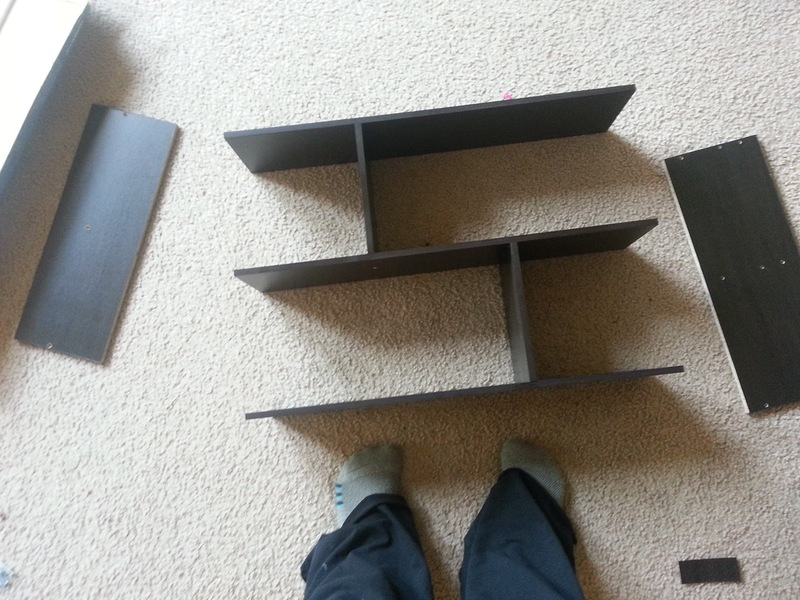 But I will tell you that no person (or thing) was harmed in the making of this shelf. At least nothing was harmed permanently. All of the proper procedures were followed (mostly), the shelf is securly in place and never underestimate what you can do with a large bottle of glue and determination! Approximately 2 hours after I had begun the project, I looked on victorious at a job well-done....er....completed! 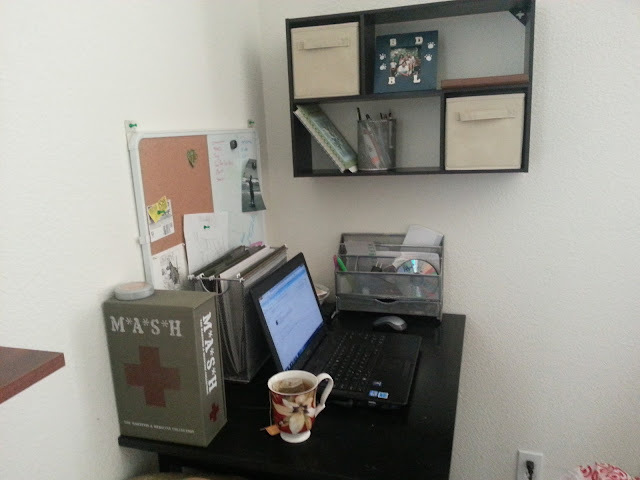 And as you can see, that tea is not going to drink itself, so I must now be off. But if ever you have need of someone to build you a shelf or some other odd household maintenance job...please, feel free to call on anyone but me to complete it! Excellent! Good work, Sarah! 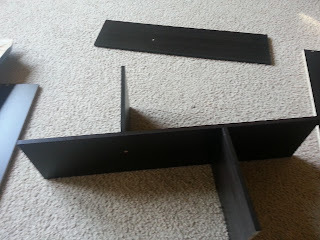 I'm the exact same way- I get SO frustrated if I try to put something together and it doesn't work and/or go perfectly! I'm proud of you!